One year after graduating from high school, I got married. One year later, I got divorced! A year after that, I got married again, and Ive been married to my best friend, Mike for 21 years. For all the years my kids were little, I did the mom thing and loved it . . . PTA, Little League, swim team, etc. Four years ago, I realized that they didnt need me as much, so I went back to work. What started as a little part-time job has turned into a full-time career. I work at River City Bank and Ive worked my way up into middle management. Im very involved with the Citrus Heights Chamber of Commerce, I also serve on the Citrus Heights Planning Commission. I read with interest the bios of our former classmates. I am very impressed! I am just a normal person. I havent discovered a cure for cancer, I havent sailed around the world in a hand-crafted sailboat, I havent been asked to the White House. Im a regular person, have a regular job, involved in regular community-type involvements. But I LOVE MY LIFE! I have a great husband, two fantastic kids, and two parents who live right behind me and are my greatest cheerleaders. I did, however, spend the last seven months nursing my 18-year-old son through cancer. Hes fine, now, thank God, but that was the worst thing that has ever happened to us. Im looking forward to seeing a lot of you at the reunion. Trivia: I'm running for Citrus Heights City Council this year. See Photos for a picture of Jane. Occupation: Student studying Psychology, Arts and Craft Specialist for children 6-12 years old. Bio: I married Mitch after graduation. I also worked as a gourmet food buyer for a company here. I was also involved in a HVAC Family owned business for 25 years until we sold it. We adopted Anson as a baby after twelve years of marriage. We have purchased and sold homes and now I am going to school studying Psychology. Friends: I have lost contact with everyone. I worked for Bo Grebitus for about four years. Kids: I have one son, Anson. He is going to be a Junior at Mira Loma H.S. After High School he wants to work at Disneyland and go to college down south. Grade_school_friends: When I came across the website and saw the pictures of Robin Reade, Vicki Flint and then in junior High School I met Terri Jurich, I thought how nice it was to have known these people. Also, Donna Hamilton. Memorable_teachers: Mrs. Norma Beil taught me so much. Mrs. McGuire was very nice and she kept my interest. Favorite_memory: Not very many, but I did graduate as a Junior and thought that was pretty exciting. Bio: After graduating from Encina I got a job with the administrative part of the state fair with Karen Farmer Sutter. After that I started at ARC but decided that I was bored with that and got a job with an insurance company downtown. After working there for awhile I got on with the state. I worked in various parts of the state up until our first son was born. Then I worked part-time at a pre-school for awhile. That kept me busy for quite awhile. I just recently got on with the school district over here working in the office. I married in 1975 to a fellow Encinian from the class of 1968. We have two sons. One just graduated from High School and the other one is just entering Jr. High. Funny_story: I remember when we were Sophmores in Foods 2 class we had just made something and were supposed to be cleaning up our sink area. Pam Jurich and I believe Sue Funk and Jane Gaugler were also in the class. Well the teacher left the room for a few minutes when I'm not sure how it got started but SOS pads began flying across the room and the little hoses you use to clean the sink with began shooting water across the room and things began to get pretty wet, when the teacher decided to step back in. It all had seemed pretty funny at the time, till she stepped back in and we could see what the room looked like through her eyes. Comments: The reunion website has been so much fun to look at. Thank you Harlan for all of your hours of in-put! Trivia: past President of Sacramento Women in Advertising. Life member of National Registry of Who's Who. Bio: I got married shortly after graduating to a man that was in the military. We lived in Altus, OK; Izmire, Turkey; and Bedford, MA. That marriage lasted 9 1/2 years. The best part about this marriage was our two daughters. I attended Middlesex Community College in MA. and received a one year certificate in Early Childhood Education. But due to being a single mom with two very young daughters ages 3 and 18 months,I had to stop school. For the next 9 years I was mom and dad wearing the different hats. In 1984, my daughters and I moved back to Sacramento, CA and I started working at the Sacramento Army Depot, then to the U.S. Attorneys Office. My life was blessed when in 1990 I married my bestfriend Ben, and together we raised my daughters. Now, that my daughters are grown - IT'S OUR TIME!!! We have been living in Utah since 1991, but I miss Massachusetts. My life has been enriched by the many experiences life has given me. I have had the opportunity to live in different areas, meet interesting people, and experience life as a single mom. I endured abuse as a child and then again from my frist husband. My greatest accomplishment has been stopping the abuse with me. My daughters did not have to endure that which I dealt with every day. The best part of my life has been watching my daughters grow into beautiful women and a husband that spoils me rotten. I thank God every day for those things I have been so blessed with. I have enjoyed reading the bios of fellow classmates. Thank you Harlan for creating this website. I've been able to contact a few of my classmates due to this website. I hope to make it to the 30th reunion. Trivia: Riding a camel till your buns couldn't take it anymore. Enjoying a group lunch with Senator Edward Kennedy. Moonlight skinny dipping parties at Walden's Pond in Concord, MA. AND -- we are the proud owners of a 27lb. alley cat, named Boston. Friends: My friends from Encina: Suzanne Crowder - What a sense of humor she had! !She always made me laugh. Debbie Fetch - Marconi Tech friends. Mark Garcia - we were pen pals. Heather Kendall - Cutting classes and going to Folsom Lake for the day! Renee Veitenhans - we found humor in everything. Hobbies: Hobbies - quilting and crafts. As far as recreation goes, I love to bug the "dickens" out of my husband!!! My husband and I enjoy ice hockey and have season tickets to the Salt Lake Grizzlies hockey team. Kids: Oh this is the best part. I have two daughters that were born in Concord, MA., and I call them my Boston Beans. Samantha who is now 22 years old, married a very nice young man last year in the LDS Temple. She is working and continuing her college education. Breanne is 19 years old and is also working and continuing her college education. Both of my daughters were policy debators throughout high school. Breanne and her partner came in first place at the State Debate Tournament in 1999. They are the joys of my life. Memorable_teachers: Team teachers - John Tracey & Rees Lee. Their style of teaching and essay writing helped me thoughtout life and in the job field. Bob Kirrene - I just thought he was a great human being. He had a smile for everyone!!! Favorite_memory: Finally, we owned the SENIOR LAWN and NOBODY was going to invade our territory. The grad party at Disneyland. Heard_about_website_from: Having fun with the internet. I did a search for Encina and your website came up. Bio: Moved to New York in 1984, established a business, raised 2 kids, sold the business in 1994, moved back to Sac area started another business. Friends: Tom Schirle. Lost contact, just can't find him. Ben Franklin, Ben's in NC now, we visited in NY. Hobbies: Blues historian. Was active in NY blues scene playing weekly gigs for 3 years. Was playing out briefly in Sac area when I moved back in '94, too busy now. Fishing, all freshwater. Hunting. Woodworking. Kids: My daughter Melanie is 15. Last report card was 3.8 GPA. She plays clarinet quite well, with beautiful tone and feel. She's a cheerleader and her squad recently won the state competition. The squad will perform at the Hollywood Christmas parade. My son Paul is nearly 12. He's in the GATE program at school and gets straight A's. He's a very good baseball player. He's very funny and has an advanced sense of humor for his age. He recently went into Boy Scouts from Cubs and aspires to be an Eagle Scout (like dad). Bio: I AM MARRIED TO MY WIFE OF 5 YEARS BEVERLY AND WE HAVE 4 CHILDREN AND 6 GRANDCHILDREN I HAVE BECOME A SQUARE DANCER AND HAVE BEEN DANCING FOR 4 YEARS. I NEVER MISS WATCHING A FOOTBALL GAME. MY FAVORITE TEAM IS THE 49ERS. I WORK FOR THE SACRAMENTO COUNTY SHERIFFS DEPT. AS A FINGERPRINTER AND CRIME-REPORT WRITER AND I REALLY ENJOY IT. FEEL FREE TO E-MAIL ME AT ANY TIME. Hobbies: FOOTBALL, SQUARE DANCING, CAMPING,SWIMMING. Just ran across the Encina Web Page. Looks fine. I am sorry that I missed the 25th reunion. Looking from all the reports, looks like I really missed a great party. I currently reside in Phoenix Arizona where I ended up in 1991 after my divorce (best thing that ever happened to me). I opened upon two companies, (an Engineering and Consulting Company as well as a Full Computer Company/Store). I long to move back to Northern California, and this summer I will make the journey to test the water and see what is available in the North Land. Drop me a note and let me know who is where and what is what. Trivia: Took up Flying. Lost most of my hair, but hey, who needs that anyway. Since Encina, I spent the next 10 years in the Military. Those ads that make it look so adventurous? Don't believe them! Kansas doesn't have much to offer. I then left the service and headed to San Jose, where I spent the next 13 years in the commuter lanes. That eventually got old so I decided to move to the San Joaquin valley for a quieter and smaller community. I found it in Madera which I now call home. It is just a short drive to Yosemite and the Sierra Nevadas where I enjoy camping, hiking and solitude. I love to travel and am leaving for Ireland in September for a long awaited vacation. I have never married (engaged twice). No children. I have been in and out of college more times than my memory serves me and hoping someday that I will find a vocation that I enjoy. Retirement sounds good! Over the years I have kept in contact with Steve and Ellen (Rake) Tompkins and am hoping the two of them come to the reunion. The most memorable moment from High School was when the U.S. Flag fell on me during the graduation ceremony. It must have dulled my senses because I still have trouble believing so many years have past since graduation. Looking forward to seeing everyone at the reunion. 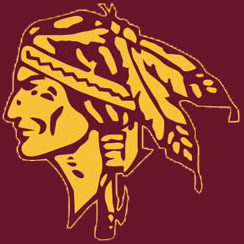 Bio: Greetings and salutations to all Encina High School Reunionites! How fun to realize we are now all in our forties enjoying the angst of midlife crisis. And To think it was only yesterday that are biggest worries were homework and our social lives!!?! Since graduation, I went on to get my Master's degree at UC Davis and am a Registered Dietitian and have several certifications in the health and fitness industry. I have worked for Wenmat Fitness for the last fifteen years, a local company that owns five health clubs, a wellness center and provides corporate wellness programs to local businesses. As general manager, I manage over 160 employees, seven businesses and oversee and develop all fitness programming for Wenmat Fitness. In addition, I was the fitness and nutrition expert for Channel 3 (an NBC affiliate) 4:30 News Live for several years, doing weekly guest spots, and continue to do guest spots for their Healthwatch program. In 1996 I decided to become a true superwoman by adding a child to a full time career so that I can continue to be a stress junkie. My daughter, Danielle Wendell, is the light of my life. My main advocacy in life is to motivate people to commit to a lifelong fitness program. I am a regular motivation speaker and presenter in the fitness industry, for conventions, businesses, associations, and at Incentive Fitness a wellness center here in Sacramento. I am on the Governor's Council on Physical Fitness and Sports and have received two international awards for Fitness Director of the Year. In 1993 I received the IHRSA Fitness Director of the Year Award (an association for premium health clubs) and in 1997 I received the IDEA Fitness Director of the Year Award (an association for fitness professionals). Remember Reunionites- If you always rest you will eventually rust- move to improve!! Trivia: In 1994 I got got married at the Disneyland Hotel. My family and firends all came dressed in Disney apparel and costumes. We had guests dressed as the mouseketeers, Alladin, Minnie Mouse, Peter Pan, Snow White, Jasmine and more. In addition, Mickey Mouse, Minnie Mouse, Donald Duck, Daisy and Goofy were in our wedding party and attended our reception. My husband, Gary Wendell, came down the aisle to "Some day my prince will come" and I arrived to " I am late for a very important date". The Bell Hops, a Disney band played all the Disney theme songs throughout the ceremony. All in all it was a "Zip A Dee Doo Dah Day"!!!! Friends: I am looking forward to seeing everyone!! It's tough saying who were your best friends (Kelcey Hall) and who you would like to see (Ellen Pawlowski, Susan LaCornu, Sarah Levin and other long-time-no-see, out-of-towners). You are going to delight some and disappoint others!! Hobbies: Daughter, fitness, exercise, golf, animation lover, books, movies, taking pictures and a great joke! Kids: Danielle Jo Wendell is 2 1/2 years old. She is fun, entertaining, delightful, two and not terrible, exhausting, endearing, clever, a smarty pants, adorable and pure joy. Heard_about_website_from: From the incredibly amazing Encina Webmaster! Tim Essert worked). Joined Hewlett-Packard as an engineer in Sunnyvale; transferred to Roseville when that facility was just starting up; transferred to Oregon in 1983, initially to the integrated circuit fabrication facility, then to the ink-jet components operation, and finally to the cardiological instruments division. After 11 years with HP, I decided I had done enough as an engineer in a big company and quit to become a patent attorney. I returned to California to attend law school at Stanford, graduating in 1994, and am now a partner of Birdwell, Janke & Durando in Portland, Oregon. not accept the high cost of housing in the silicon valley. I used the bus as my bay area home for about a year before transferring back to the Sacramento area. was prosecuting a patent matter relating to his field of expertise, and we had a good talk. Hobbies: I still run regularly and continue a long held interest in collecting old cars. I have also been interested in architecture since taking Mr. Lowe's drawing classes in high school. I was lucky to find a faithful period Frank Lloyd Wright style home for purchase here in Oregon, and I have been working with the original architect to create a unique garage structure that will enhance the property. About 15 years ago, I started acting in local community theater productions, and I find I especially enjoy doing musicals. I had no idea that I wanted to do anything like this, or that I would be any good at it, before trying it. I've learned that it is a lot of fun. Grade_school: Mark Twain (K-1st), Caleb Greenwood (2nd-4th), and Sierra Oaks elementary schools, all in Sacramento. Grade_school_friends: I recall being friends with Bob Nannini in 4th grade at Caleb Greenwood. I remember that the class that year was encouraged to write poems for compilation in a book that was kept at the teacher's desk. Bob and I were the most prolific contributors and it was my perception that we competed with one another. Junior_high_friends: Most went to Rio Americano and I never saw them again. I met Patty Needham, who was my girlfriend for a long time, at Jonas Salk. Probably my closest male friend at Jonas Salk who went to Encina was Bob Wales. coach Mr. Scott; they were highly motivating, very dedicated people, and they passed away much too soon. spat at me. That motivated me to run my fastest quarter mile ever. After crossing the finish line, I looked back and saw their runner finish by throwing his baton down in anger. Their team fell quiet. I remember how I felt walking back to the gym after the race. I think the outcome decided the meet and the championship that year--it was very close. Bio: After graduating from UC Davis with a law degree I joined VISTA and was assigned to work with a disability rights program in Fairbanks Alaska for two years. I then got a real job with this same non profit agency and represented kids in special education and other people who experience disabilities for 15 years. When the State of Alaska tried to steal land from the Alaska Mental Health Trust, we entered the suit and eventually negotiated a settlement of one million acres of land and $200 million. The new Board of Trustees hired me as the Executive Director of the Trust and we use the income (about $10 million per year) to improve mental health services for people with mental illness, mental retardation, dementia and chronic alcoholism. Along the way came a wonderful family and lots of adventures in the Last Frontier! Trivia: I was married on a 4 by 8 foot astroturf covered float with 6 pink plastic flamingos near a houseboat in San Francisco Bay. The minister who rowed to the "island" lost his church when his wife of 30 years turned out to be a spy. Friends: Lori Clancy, Harlan Lau and where is Ellen Pawlowski? Kids: Morgan, 11, is off to math camp at Stanford this summer and won her last soccer game with a penalty kick. Nick, 9, holds the Alaska record for largest salmon caught by pocket knife (20 lbs)and protects Earth from all known aliens. Greetings from behind the Redwood Curtain! I am a math professor here at Humboldt State University (what would Mr. Dutton say?). It's a great life, I really enjoy my students and my life. I have a husband and two cats, we are saving for a house here in the woods. I got my PhD at the University of Oregon and taught in several places. Probably the most fun was a Fulbright lectureship in Romania. I was there for the year of 1985-86. After that I moved to Rhode Island where I taught at URI and lived on a sailboat. I was happy to return to the West Coast in 1990. We are going to Italy for the month of June and I wonder what the reunion this August will be like. There are certainly some people from Encina who I remember fondly. If you are reading this, you are probably one of them. Hello and I look forward to seeing you at the reunion. On March 1, 1998 I retired from Pacific Bell with 25 years service. I live in the Bay area and I'm an independent Telecommunications Consultant. I have 3 children 25, 11,& 7. I'm not sure but I don't think I'm old enough to have a daughter who is 25 years old. She also works for Pacific Bell, as a matter of fact, she is 4th generation in the company from our family. We love the bay area but I'm not sure we won't be back in Sac some day. Bio: Graduated from UC Davis and McGeorge School of Law. Employed as an attorney by the State. Love to travel. Married to classmate Diane Schoenborn. Trivia: Assistant Scoutmaster, Trop 518, BSA (some of our classmates were members of the same troop in the 60's). Bio: I have been an RN for approx. 23 years. I have worked all aspects of critical care including Trauma, Air Ambulance, Cardiac Surgery ICU, Medical/Surgical ICU and Neonatal ICU. I open my own Legal Nurse Consulting firm approx. one year ago. I specialize in Managed Care Litigation and my clients are attorneys. I have lived in both Northern and Southern Ca since graduation and moved back to Sacto a few years ago and bought a home. Trivia: I have travelled to Holland, Belgium, Germany, Austria, Italy, Switerland, France, Canada, Mexico, Puerto Rico, the Virgin Islands and Hawaii on numerous occasions. I have attended the Kentucky Derby and partied in New Orleans as well as other parts of the US. Last year I tried bungee jumping and skydiving and really enjoyed it. I will sky dive again. Friends: "The Clan" as well as several others. Hobbies: For recreation and hobbies I snow and water ski and golf. I was hired as a ski instructor at Sierra at Tahoe two years ago for the fun of it. Bio: I was lucky enough to meet my husband, Glenn, and we have been together 22 years. We worked together at our own business, which Glenn still operates, while I have gone back to work in the private sector since the 20 year reunion. Glenn and I spend our spare time involved with our children's sports activities. Trivia: I graduated from American River College in May of 1998. I started back to school when my son was born in 1988 and took one class a semester. I am proud that I stuck with it because it set an example to our kids that you are never too old or too busy to accomplish any goal you set. I plan on attending University of Phoenix to complete my goal of obtaining a bachelors degree before one of my kids. Friends: Shauna Burns was one of my best friends. She went through a lot with me. Our children go to the same school now and I see her often. Stacey Barnes was a good friend to me. She was a bridesmaid at my wedding. I've lost track of her and I miss her wit and smile. I hung out with Marie Krear, Martha Koropp and Elaine Farmer and we shared a lot of laughs. I keep telling my daughter who is starting high school this fall that these are the best years and to enjoy them. I did! Hobbies: I love to write. I have kept journals for each of my children since before they were born. I write about things they say and do and what I hope for them. We go back and read them out loud and they love to hear about their lives. I enjoy a good book too but I don't find the time very often. For recreation, I love the beach. We go to Dillons for the day. Glenn was born in Hawaii but prefers the mountains to the beach. He loves trout fishing and is teaching the kids. Kids: This is easy. Sarah is 13 and will be a Freshman at El Camino but really wants to go to Rio Americano. She's on the waiting list. She is a high achiever and a competitive basketball player. Kaitlynn is 12 and will be in the 7th grade at Winston Churchill. She played fast pitch softball and her basketball team went 15-0 this year. She is looking forward to babysitting this summer and reading lots of good books. Kellen, my son, is 10. He will be in the 5th grade at Cowan Fundamental. He is a talented athlete and plays baseball and basketball. He is playing All Stars in the Mustang Division at Arcade Pony Baseball right now. His "Hoop it Up" team took second place in their division at American River College. Sarah, Kaitlynn and Kellen all play the piano to their Grandmother's and Great Grandmother's delight. Glenn and I work hard to keep our kids involved at school and in sports by volunteering to coach, drive on field trips and participate in the classroom. We have wonderful kids and are very proud of all their successes. Bio: Graduated from CSU,Sacramento. Degrees in International Business and German - Worked at PacBell for 18 years, Unisys, Centigram and now am President of Intellicom. I am married with two boys, 12 and 16 and a stepdaughter, 21. Trivia: I am a workaholic!!! Hobbies: Soccer mom, golf, skiing, cooking, working!!! Memorable_teachers: Senor Gonzales - he loved life and had alot of fun teaching - I learned alot from him. Mr. Huber - I hated geometry - but somehow he made it okay. Favorite_memory: Our class trip to Mexico. Anyone who went on it knows the story! After high school I attended American River College and UC Davis. Unable to decide on a major, I stopped-out for a quarter and moved to the mountains, working at Sugar Bowl Ski Resort. I discovered that life in the mountains was more to my liking than college and I never returned to Davis. I have lived in Soda Springs and Truckee for the last 22 years. I attended a floral design school in Denver and have worked as a floral designer for nearly 20 years. I have considered opening my own shop, but I enjoy my free time too much for that kind of a commitment. I currently work in Tahoe City at a very busy shop. Summer is especially busy because we do a lot of wedding and party work. I have been married to Jack Patterson for 7 years. We built our house together 7 years prior to our wedding, and have enjoyed living in this beautiful spot together for the last 15 years. We dont have children together, just dogs, but Jack has a grown daughter who now has 2 children, so we are grandparents. They live in Houston because our son-in-law is an astronaut. He was a mission specialist on the Discovery STS-51, Endeavour STS-68 and Endeavour STS-77. His next mission is scheduled for Jan. 2000 on the International Space Station for 6 months, assuming it gets built! It is a lot of fun for us and we have a new appreciation for the Space Program. Weve gone to Florida 3 times to see his launches. We also enjoy skiing whenever we want/can and do lots of hiking in the summer. I really enjoy life in the mountains. But we also like to get away, so weve done some scuba diving too. Went to Bonaire last October, it was wonderful! Were now planning our next dive trip to Fiji and The Great Barrier Reef. I havent kept in touch with anyone much since graduation, so Im looking forward to seeing everyone! Thanks Harlan for this great web site! Looking back, I think the thing I most regret about high school was studying too much and not enjoying myself more. Corresponding with classmates as webmaster has made me realize how many really nice people there were who I didn't get to know at Encina. After not graduating as a junior due to poor planning on my part, I didn't have much to do senior year. I took a few classes (Yearbook) but spent a lot of time at Sac State taking math and science classes. I planned to attend Davis or Berkeley but when I was accepted at Stanford, I decided to go there because of their excellent engineering program. I ended up studying even more at Stanford (some things never change) and did well academically. I received the Terman award given to the top 12 engineering students and I invited science teacher John Stearns to the ceremony as my most influential high school teacher. I'll never forget the mousetrap project we built for his physics class and the NSF astronomy program he encouraged me to attend at the Thacher School at Ojai,CA. I was elected to Phi Beta Kappa as a junior and received a Hertz Fellowship which paid for my graduate study. In 1985, a friend recruited me to work at the Lawrence Livermore Lab, which is famous for developing nuclear weapons. Employment required a serious security check and I started getting calls from friends and neighbors who had been contacted by the Feds. I worked in the infamous "O" group headed by Dr Lowell Wood, the protege of Dr Edward Teller of the Manhattan Project. The "O" group was responsible for the "Star Wars" missile defense program. I worked with many of the people immortalized in the "Star Warriors" book written by William Broad about the scientists behind our space age weaponry. I did not work on the "dark side", but on a non weapon program which was supposed to be spun off as a startup company. After two years of commuting 2 hours a day to Livermore, I was recruited to work at MIPS Computers in 1987. This was the startup company which developed the first commercial RISC microprocessor. I like to think it was MIPS who started the microprocessor wars which resulted in consumers having such powerful PCs. At the time Intel had a comfortable x86 monopoly and PCs evolved at a comfortable, slow pace. The MIPS RISC microprocessor was much higher performance than anything available and spurred Intel, HP, SUN, DEC and Motorola to develop their own RISC microprocessors. MIPS had a highly publicized IPO and was the subject of a book called "Going Public: MIPS Computer and the Entrepeneurial Dream" by Michael Malone. Unfortunately, while MIPS may have started the microprocessor wars, it's larger competitors soon surpassed it and MIPS was fortunate to be acquired by Silicon Graphics during it's death spiral. Before MIPS was acquired by SGI, I went to work at Rambus with some friends from MIPS. Rambus is a silicon intellectual property which doesn't actually sell any chips. We developed a high speed interconnect technology which we've licensed to almost all the large chip companies in the world, collecting licensing fees and royalties on any chips made with our technology. Our chips are used in the Nintendo 64 and we're currently working with Intel to develop the next generation of memory chips. Almost all Intel microprocessors will use Rambus technology starting in 1999. I manage a small group which does logic verification at Rambus. Rambus went public in May 1997 and was the best performing IPO of 1997. See www.rambus.com for details. I married Joyce Arai in 1988 and I have two sons Nicholas (7) and Daniel (4). We belong to a tennis/health club with childcare, which allows us to play tennis with our friends while our kids play with each other. I also play volleyball at work and I hope to resume golfing someday when the kids are old enough to play. Nicholas plays roller hockey and basketball at the YMCA with his buddy, and Daniel practices his dribbling and played indoor floor hockey in hopes of following in his big brother's footsteps. They're both taking swimming lessons this summer. My favorite hobby of all is reading reading reading and I hope to instill this love in my kids. I subscribe to many magazines and read two newspapers every day. The past few years I've also read about 80-100 books a year, although this webmaster business has really put a dent in my reading this year. My other loves are investing in the stock market and playing with computers. I enjoy living in the Bay Area with my family. I'm enjoying the role of webmaster for the Class of 1973 as it puts me in contact with lots of classmates, some of whom I didn't know very well or at all in high school. The website has evolved from a reunion site, to a class website, to an Encina website. The Class Directory project has become a powerful tool for contacting old friends and I thank those who are participating. I love to get email from people who have rekindled high school friendships through the class directory. The Bios page has been another popular part of the website and I thank everyone who has submitted their bios for publication. I've not had much luck with establishing other class homepages yet but I'm still hopeful that each year, as classes have their reunions, they'll recruit a webmaster and set up a homepage. I'm indebted to Kerry Shearer's 72 reunion website, which launched this whole project. Working on the reunion committee for the first time, it's been exciting to track down lost friends like Jeff Jessee, who was last seen at the 5th reunion. I'm looking forward to seeing everyone at the reunion weekend. See the Photos page for a picture of Harlan and his family. Bio: Thirty Five years--tons! too much work, too little play! Trivia: I've lived in Scotland and Australia. I've been married twice. Stateside I've lived in Seattle, Sacramento, San Diego and Portland OR. I like to vacation in the Pacific Northwest, San Juan Islands and Montana. Kids: :) Do cats count? Junior_high_friends: I remember Estreilla Allen, Marie Bain, Anne Benbow, Kim Benedetti, Rod Bittner, Lorna Cline, Kevin Conlan, Betsy Dozier, Annette Dreyfuss, Sally Enos (lived around the corner), Vanessa Favero, Bill Francis, David Glasscock, Mark Godfrey, Chris Heimburg, Garth Janke, Harlan Lau, Russ Levy, Lani McDonnell, Claire Mower, Patty Obregon, Patty Russell, Hollie Satter, Diane Schoenborn, Cathy Steinkoening, Rhett Smart, Carolyn Teal, Allyson Thurber, Lynne Vasquez, Karen Yoder. Memorable_teachers: Any Sierra Oaks folks remember Mr. Fox? How about Mrs. Peterson at Salk? Mrs. P instilled a love of history in me. Laurinda Shelly (my wife) and I are now living near Olympia, Washington. That is, Bill Leaver and Laurinda Shelly are married to each other, for 24 years this September. We have four children: Jacob 21, Micah 18, Joseph 14, and Samuel 11. We have lived in Sacramento, Washington, North Dakota, and The Dominican Republic. The boys and I own an Internet services provider in Olympia, WA. Laurinda is a pediatrics nurse for Group Health. Claudia Perry is currently a missionary of Jehovah's Witnesses, serving in Venezuela, Caracas, I think. I am a professor of geography at Northern Arizona University in Flagstaff, where I live with my wife and three children, Lauren Asia (18), Skylan (6) and Chynna (4). Since graduating from Encina I have lived, studied and worked in Hong Kong 1974-6, Hawaii 1979-81, Oregon 1981-86, Singapore 1983-4 and 1997-8, and Germany 1989. I became a geogapher because I love to travel and needed to find a way to get others to pay for it -- which has actually worked out. I have traveled throughout Europe and the Asia/Pacific region and I have been to all but six states in the US (as of 1998). I have lived in Flagstaff since 1986 and absolutely love it. I don't read much, but I do write and edit a lot, including having three books out (or soon to be): Tourism in China, Sustainable Tourism: A Geographical Perspective, and Tourism and Gaming on American Indian Lands. And I am the editor-in-chief of a new academic journal: Tourism Geogaphies. Being half-Chinese (and half-German), I have also learned to speak some Cantonese, Mandarin and German over the years. Despite one divorce, life since Encina has been fun! Bio: I was married and divorced and re-maried to the same guy. We have 4 kids ages are 20, 15, 12,and 11. I am a stay at home mom, I home schooled my kids till last year. Now they go to a private school so I am going to get a new job. I enjoy horseback riding with my daughter and enjoy going to concerts with her. Hobbies: Sewing and horseback riding and painting. Kids: They are good looking! Bio: After Encina received BS from University of San Francisco innursing. Moved to Seattle, then to South Australia, then back to Seattle, then back to Sacramento in 1987. Currently working part time at Mercy General Hospital and raising two teenagers. Trying to play golf as much as possible, when I'm not driving kids here and there. Still happily married after 18 years. Love getting together with my songleading buddies, Debbie Richmond and Loni Whalen. 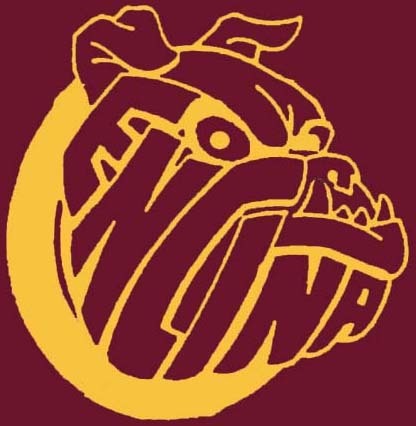 We are presently enjoying the Encina Web page and all the info provided. Trivia: I had a hole-in-one on the 7th hole at El Macero Country Club in June of '97. Funny story: Loni Whalen owned one of the ORIGINAL Honda cars and one day we came out from class and someone had carried it and placed in the middle of the senior lawn. Kids: They are interested in water polo and play year round. Comments: Thanks Harlan for this cool website!! Bio: Working for the citizens of the Great State of California, most recently as the head of Administration for the Department of Pesticide Regulation. Trivia: The sire of my male dog, who is a champion on his own, is the number 20 Malamute in the nation (but I think my guy is better looking). Kids: Both are certified weight pull and backpack dogs and the male is an AKC champion. 10-12 hour shift. I was terribly weakened, but life goes on! Trivia: I was P.T.A. Preisdent for my chidren's elementry school, I also head coached my daughter Trisha's Cheerleading squad in Rancho Cordova in 1992-93. That was extremely fun and we made it to the nationals, where we took fifth place, which was nice. BUT a lot of hard work. Funny_story: In my sophomore year I went to the nurse's office not feeling well that morning and Kathy Hubbard was in there also. AS we were speaking we realized together that we were both pregnant at the same time, and later we both had girls, in July 1971. Friends: I had so many wonderful friends at Encina. Just to name a few, there was my best friend Carolyn Teel, Chris Browning, Debbie Woodward. And there was Kelsey Hall who I admired and she was sweet. I could really go on for a long time but I don't want to bore you. Sorry for whoever I left out. I love you all! Hobbies: Well right now with my M.S. the most thing that keeps me interested is playing solitaire on my computer. It really aggravates my two children that I have left at home. Kids: Well I have 3 children, my 1st- Tonya Renee is now 26 years old and has 3 children of her own, Richard age 7, James John 5, And my angel baby Milissia Marcella 18 months old, she's just the cutest little thing. My other two are Trisha LeAnn Clower, Her initials are T.L.C. stands for tender loving care, because thats how we made her, along with fertillity medication. She came along after six years of marrige, and guess what? When she was only six months old we found out that there was another bundle of joy on his way, Thomas Johnathan Clower. Trisha is now 16 and Thomas is 14.I can't go without bragging about my husband, George is the most sweetest, caring, cache of gems, a luscious person, a star spangled, universal, mesmerizing, irresistible, flawless .gleaming, astonishing, handsome, caring, helpful man in the world, and no one can love him more than this woman who is speaking to you now. He's a Deputy Sheriff for the Sacramento County Department. And He does his job with pride. I won't bore you anymore. Thank you for reading this, if you got this far. Comments: I think what you all are doing is just simply wonderful, I have never been more interested in anything like this in ages, I really feel like a past part of me reappeared. And believe me it left me gleaming. THANK YOU! Passed away in Sacramento on January 16, 2003, at the age of 47 years. A lifelong resident of Sacramento. Beloved son of John Masier. Loving father of Dustin Masier. Also survived by his loving mate of 13 years Jennifer Baldock. Preceded in death by his mother Ruth Masier. A celebration of life service will be held Wednesday, January 29, 2003, at 10:00 AM at East Lawn Andrews and Greilich, 3939 Fruitridge Road, Sacramento. Inurnment will be private. Friends: Ollie Bell was one of my best running mates. So sad to see him go. * have several top 10 records in Pop, Alternative Rock, R&B, Country and Americana. * have participated in Grammy and Oscar award-winning projects. * have been featured internationally in such magazines as Rolling Stone, Spin, Billboard, Gavin, Mojo, Q, NME, Time, Electronic Musician, Mix, and Addicted to Noise web magazine. * own and operate Tiki Town, a full service 32-track studio in the heart of Marin County, CA. * run Hang On To Your Publishing, a music publishing company with more than 100 titles. Coaching youth sports and sports therapist to local high school teams, even Encina for six years. Lost contact: Many, I'm looking forward to seeing them all at the reunion. Hobbies: Fishing,camping,backpacking,and recently started restoring my wife's "72 superbeetle. Story: I'm drawing a blank. Bio: I have been married for 25 years, have 3 children, Amy 24, Nick 22 and Matt 20. I was a reading tutor for several years, working with primary grade children. I went back to school to get into the medical field and now Supervise and run the Radiology Department at UCDavis Medical Center. Trivia: I sang in a country rock band for about 6 years. We played at local clubs as well as some out of town events. Friends: Jennifer Bailey Kimsey, Debbie Fetch, Anne Benbow, Bob Naninni, Kevin Wilson. Hobbies: I love the outdoors. My family and I camp almost every weekend in the mountains and at the beach. I love to drive to San Francisco with my husband and spend the weekend shopping and just "hanging out". I have two dogs that I adore. One is a mut and the other one is a purebred white Akita. Kids: Amy is a computer analyst and will soon be relocating to SanDiego, Nick works at Bank of America while going to Sac State. He is majoring in Criminal Justice like his Dad did. Matt is getting ready to start University at Davis and then wants to go on to law school. Grade_school: Redwood Union in Crescent City Ca. Junior_high: Winship Junior High in Eureka, Ca. Memorable_teachers: Mr.Carey, my music teacher. He made me realize that I could actually sing when I thought that I only thought that I could. I sang in Madrigals and I looked at Mr. Carey as my mentor, and my Dad. Favorite_memory: Mike Fawns parties, music, alcohol, boys and fun! What else did we want at that stage of the game? Bio: I attended University of the Pacific and UC Davis before being accepted at the University of the Pacific School of Dentistry. At UC Davis I roomed with Joe and Dan Jeffrey and lived in the same apartment complex with Anne Benbow and Vito Carbone. I graduated in 1979 with a DDS (DENTIST) degree and waited patiently from June 1979 to August 1979 to see if I passed the licensing boards. That was the best summer vacation I ever had. No job, just play at Tahoe for three solid months. I started my private practice by purchasing an existing practice from a retiring dentist and hung out my shingle in September 1979 at the ripe old age of 23. I have been enjoying the dental profession for 19 years now and am still having fun. A few of our fellow classmates make it into the office to get their pearly whites shined now and then. I married the most wonderful woman on January 1, 1998 - Barbara Blakemore. Together we have three wonderful childred. Alex (11), Kate (8), and Amanda (8). ! Barbara and I just attended her 20th reunion at Rio Americano, where I ran into many people I hadn't seen in ages. Besides doing cosmetic dentistry, I enjoy watching and participating in our kid's activities. Soccer coaching, Assistant Troop Master- Boy Scout Troop 281, Assistant Brownie Troop Leader - Troop 1904, backpacking, swimming. Barbara and I enjoy dining out, movies, short weekend getaways and watching Dr. Katz on the Comedy Channel. Funny_story: Anne Benbow had the mailbox in front of her house mysteriously disappear one night (around the time of Senior Auction) in High School. Those in the know to this day feel it was abducted by aliens. out. I'm typing this very late at night. Hobbies: Hi tech cosmetic dentistry, computers, geneaology, music,camping, anything my kids are into. Kids: Our son Alex is growing up to be a monster. He will be 12 in September and already is in size 13 shoes. I can't wrestle with him anymore or I get hurt. He is a typical boy,interested in basketball, soccer, video games, keeping his sisters out of his hair and (don't tell him I said this), girls. Kate is our little tomboy. Anything Alex can do she can do better, or will whine until we let her do what he does. She plays in the mud, brings worms and frogs home and has a great dinosaur collection. Amanda is our social butterfly. She never knows a stranger and makes friends with anyone instantly. She is very artistic, loves to draw and has a very active imagination. After I graduated from Encina, I attended American River College , until I met my future husband. I got married to Troy Thiessen in 75'. He was in the Air Force then and we lived in Germany from 75-79'.. Our daughter, Carolyn, was born there in 79'. After we came back from Germany, we lived in Sacramento, CA for awhile and then moved to western WA .Between 86'-88', I was involved with a local theatre group in Aberdeen ,WA and won 2 awards for theater work as my portrayl of a Countess in"Beethoveen's 10th" and also as "Chick Boyle" in "Crimes of the Heart". I worked full time for 9 years in retail sales. We moved to Yakima, WA in 93 and I quit work and went back to college. In August 96', I finally finished my AA degree at the Yakima Valley Community College. Between being a mom and working, it took me 23 years, but it was something that I wanted to accomplish. I still hope to go on and get a BA in Early Childhood Education someday. In February of 97', we welcomed a second child to our home, Christopher. I enjoy being a Mom again, but hope to go back to school and work as soon as Christopher goes to school. Troy works as a sales representative for an electronics /computer company and also referees basketball. We celebrated our 22nd wedding anniversary this last December. I'm blessed with a wonderful family and friends. So I'm doing well. Bio: After I graduated, I spent 20 years in the restaurant business waiting tables and bartending both in Sacramento and the Bay Area (Burlingame). I was also able to do an extended trip to Europe for six months in my early 20's. As I approached 30, I decided that the body couldn't continue the labor intensive occupation so I moved back to Sacramento and enrolled at CSUS. I graduated with a BS in business and did what I never thought I would do - I applied to get on every list with the State that I could! I got hired on with the State over 7 years ago and it has turned out to be one of my better choices! I work for Franchise Tax Board in the Bankruptcy Area. Due to the economy, I definately have job security. Working for the state is the one thing I thought I would never do and now it has offered me a career that I never knew I wanted! Trivia: A wonderful trip to Costa Rica where we met all sorts of former Americans that are probably no longer welcome to return to the good ole US of A! Kids: Very proud of my two cats - Addie & Ariel. YES - I am one of those women!! Bio: Undergrad work at UC Riverside, law school at McGeorge. Practicing law, chasing bad guys for the Feds for 5 years, and working for the 5th District Court of Appeals the past two years. Trivia: I'm probably the last person left without a home computer and website; and I still have the 1966 Mustang I got in college. Bio: A constellation of experiences, many years in Chico. Married at 35, three kids, blurr. Early years gold, Freaky dragging out divorce after 18 and a half years. Architecture, landscaping, walking, hiking, adventuring, bicycling, researching, loving ER, Radiology nursing. Struggled to achieve education due to crooked arrow approach and lived in some incredible spots by the grace of the great spirit. It's a beautiful world, how could it be so fricking cool? Trivia: One of the first women in CDF, Colfax station. Lived on 160 acres, gatehred water from the spring, skinned rattlesnakes. Dove for gold in the American River with goldman Bob. Paramedic recruited to Kauai 81', lived by Sister Luke of "The Nun's Story", had cocktails and heard stories of WW I and II. Married a guiness book hacky sac (footbag ) world record holder, pharmacist. Flopped marriage after 18 years. CSUC BSN nurse , ER,Cardiac Rehab, Wound Center, Coag Clinic,Interventional Radiology, Nuclear Medicine, Have a Schnoodle, Gina and Llasa Apso? Minature German Shepard, Soph, and Cool Cat, Boots. Three English Spot Rabbits left from 4-H, daughter turned disaster. Selling 2700 sq ft house, custom living in cottage 700 sq ft in Aves near Big Als. Hobbies: Trees, looking up at the world, creating stuff, hiking in Bidwell park, Biking, buildings, gardens, roses, art creations and viewing, shoppin at thrift stores, photography, birds, baking, civil service, being a neighbor. Skylar just started Chico state and aced calculus, biology, art, engiish and had his knee surgery. He does live RPG's and is sticking with me in this year of impossibleness. Kaelia is a senior, lives with her dad since breaking my nose last Nov., two days after he move out. Kaelia swam and played field hockey. She works and wants to be grown up. She was always fastest at catching lizards or frogs, can type 64 wpm and is the opposite of me,. Barrett is musical, lived with me til Sept. is a blended smart kid and moved into his dad's because this house is so small once we moved from Summerwood Ct.Barrett is sunny inside and would make a good teacher because he operates well with others.The kids are brown eyed blondes except for Skylar who looks like some kind of Lancelot. He got into UC Santa Cruz, but stayed here wih the family break up. He is likely pre med, biology or pharmaceutical resesearch bound. Memorable_teachers: Mr. Figenshu. He believed in me and had respect and concern, was funny, stimulating and just an awesome teacher. Favorite_memory: I liked being involved in Oklahoma the musical. I was prop manager, and singing in the chorus under Mr. Kerry.